Improving production by making it cheaper is often done regardless of whether or not a particular product is doing well on the market. Scythe Fuma probably belongs to the “worse category“, which is also proved by its low availability. It seems that the manufacturer had to start to save up to maintain the production. It is no drama, but this tastes a bit bitter because the first version was the best product for its price. *These measures indicate distances between the cooler and RAM slots, or more precisely the nearest PCIe × 16 slot. 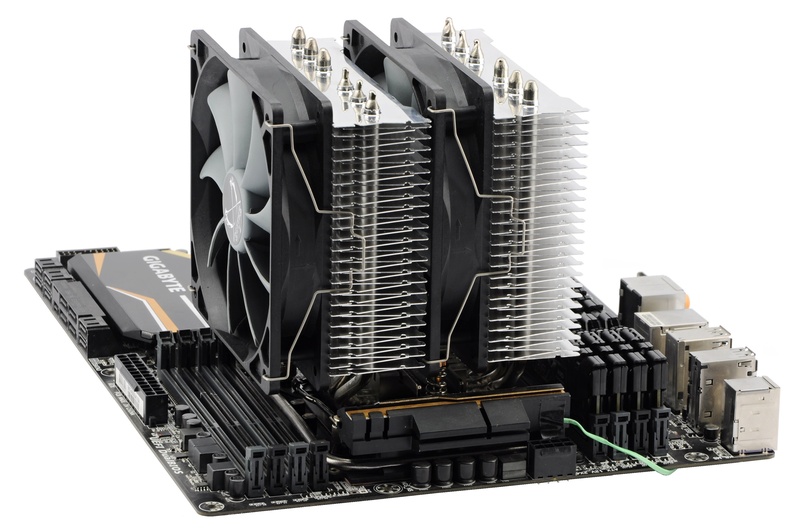 **The data reflect the situation on Mini-ITX boards which typically have 50 mm from the center of the socket to the first slot. 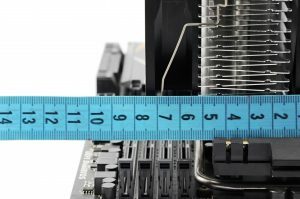 With the ATX format, it can be up to 7 mm more and that means one extra slot and a wider compatibility than is mentioned in the table. We measured the height limit with fans that are aligned with the maximum specified coolers height. The structure of the heatsink is unchanged, and the basic design is based on two towers. They are relatively narrow, which is good. Reeven Okeanos is also narrow and it can keep up with much wider NH-D15. The area of wider towers is obviously quite inefficient when you consider that heatpipe passages are centered the usual way at the edges. It cannot fully exploit the airflow, and it absorbs less heat. Fuma is not just narrower but also shorter. Except for NH-D9L (and similar coolers that are optimized for SFF), it is the shortest twin-tower. 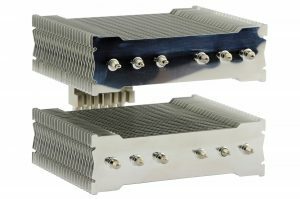 It is a simple heatsink with two types of ribs. Straight and notched ribs break the air resistance, and slightly dampen aerodynamic noise. 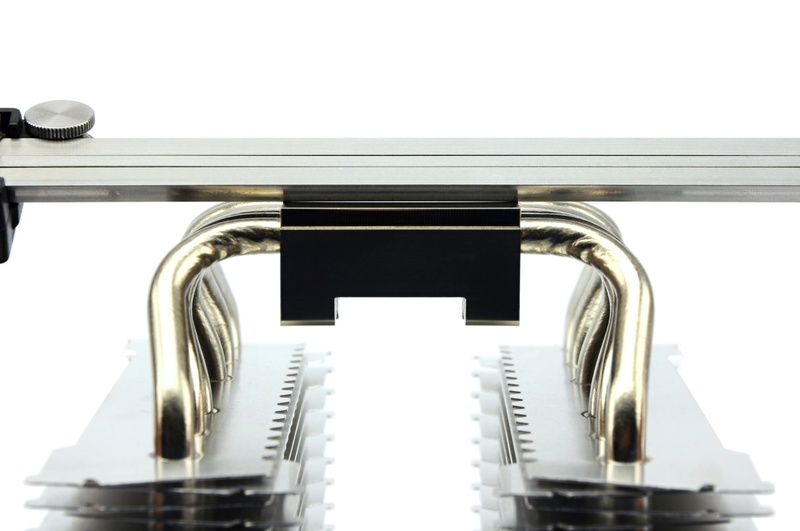 The strength and finish of the heatsink is average. We do not say that there is something wrong about it, but just that Scythe did not consider cosmetics to be the priority, and they invested everything to functional features. Ribs, for example, lack the typical locks to indent them. Frankly, the ribs are quite fragile. 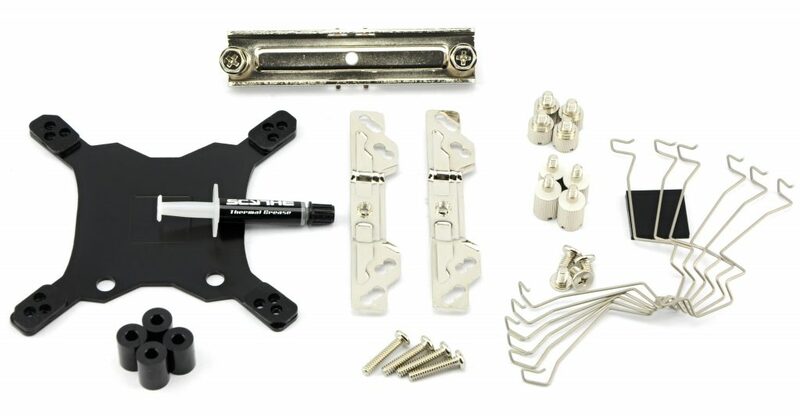 The copper parts (the base and heatpipes) are nickel-plated, the rest is aluminum without any other metal, except for the polished top ribs. Let’s look at the base. This is quite odd. It is convex on one axis (for better contact with the IHS, but the area of the tip is quite small), and concave on the second axis – in the direction of heatpipes (Mugen 5 Rev. B has it in the opposite direction). The pipes are apparently soldered to the base, there are few visible traces of tin. Fans are typical for Scythe – low-end. Only Mugen and Kotetsu have fans with more durable bearings. With Fuma, you can expect just ordinary slip bearings. However, the fan is relatively quiet and no disturbing noise is produced. The sound is constant, and it is not annoying at all (remember SPC Fera 3 v2, that was a bummer). The operating speed range is better than average with both PWM and fixed voltage regulation which is a bit more complicated. 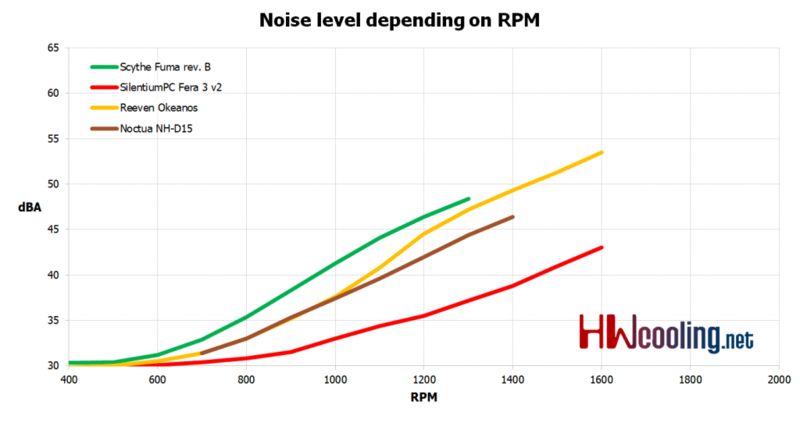 The lower limit is around 350 rpm (3.93 V), but the rotor has to be kicked up a bit with a higher voltage. 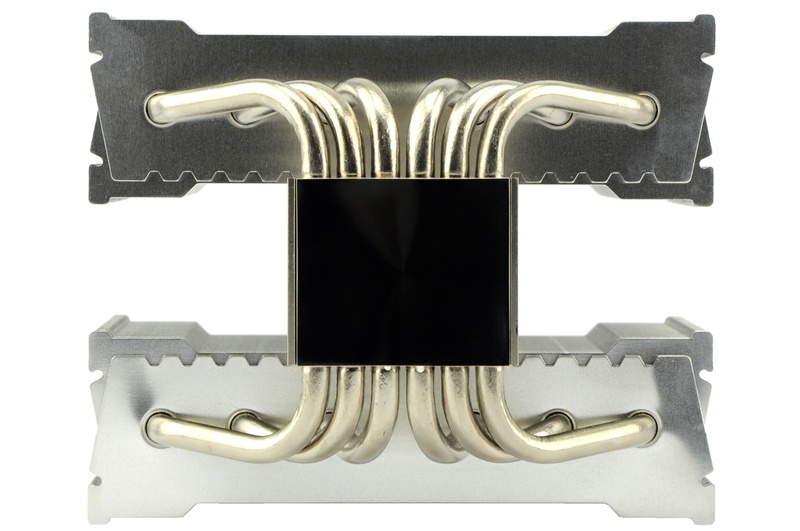 From a fixed position, it can handle up to 4.85 V (~ 615 rpm). The assembly kit is decent in every aspect. Some time ago, it used to be the “weakest“ part of all Scythe coolers. But not this time. 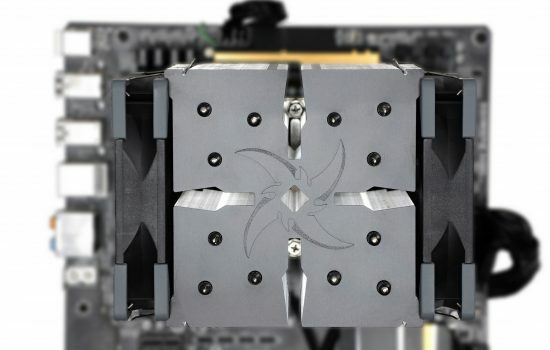 The mounting system works traditionally – backplate > spacing columns> holders> cross clamp. Compared to the first version, there are AM4 holes on the universal holders, and the clamp is also different. It has fixed screws with springs. The point is that this system is more comfortable to install, especially directly in a case. It is really a good thing that the clasp is one compact unit, and you do not have to put screws into it separately. 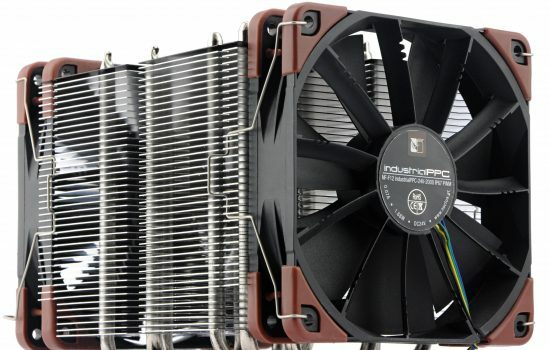 What is not so good is the fact that you cannot mount the cooler on AMD vertically. It means that airflow is directed to the ceiling and not to the rear panel. 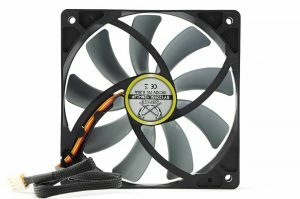 There are three pairs of clamps on the fans, the backplate is metallic, and a small, but decent, thermal compound is part of the accessories. These things are awesome. Another extra part of the accessories is Y multiplug (but you cannot see it in the illustration photo). 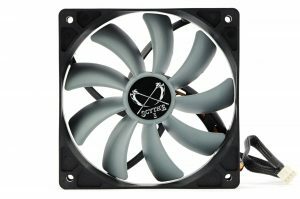 Scythe did not forget about the owners of very old C2D processors (socket LGA 775), and that is appealing too. The compatibility with surrounding components is tricky. 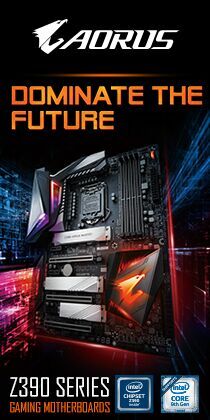 The fan will overlay the first three memory slots. 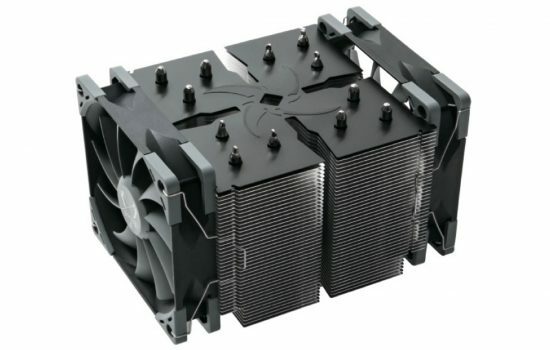 If you count with a specified heatsink height of 149 mm, you will not be able to use most modules. Even 32 mm is too high. However, you can move the fan – attach it higher if needed. After adjusting it to an average height of about 160 mm, the compatibility issue will be easier to solve. 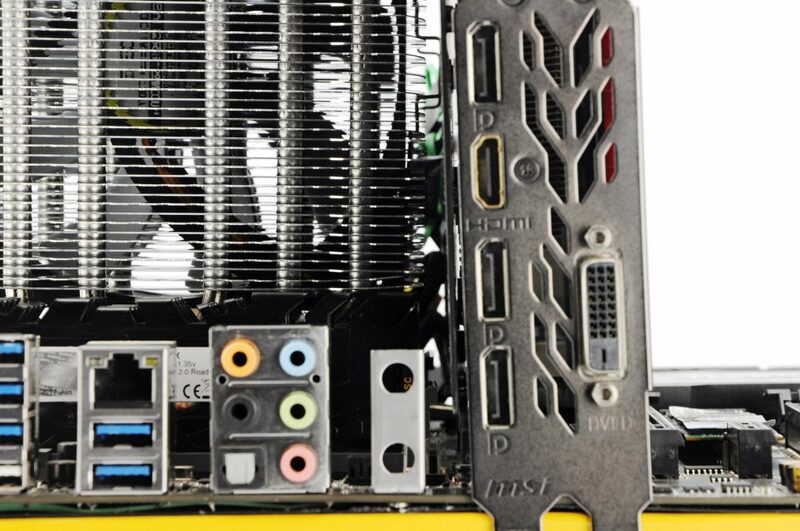 You will not have to deal with a conflicting graphics card. 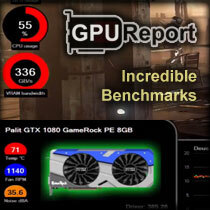 Everything was ok even with our test motherboard which has the first PCIe × 16 relatively close (75 mm away). And if not for the exceeding clamps, the situation could be even better.